Folk music, motor & row boats. 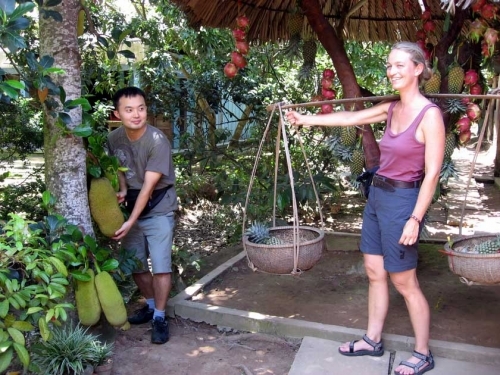 07:30am or your time's inquiry, our tour guide and diver pick you up at your hotel for Travel Around Ho Chi Minh City To Mekong Delta Tour 1 Day. 09:00am - 09.30am, we will arrive in My Tho. Embark a made of timber motor boat (20 minutes) to Unicorn Island. On this boat along the river’s bank, you’ll be passing through unpolished creeks, enchanting fisherman's port, stilt houses (half on land, half on water). Then, let’s come back Ho Chi Minh and enjoy a coffee at the cafe shop before we visit four places in HCMC. 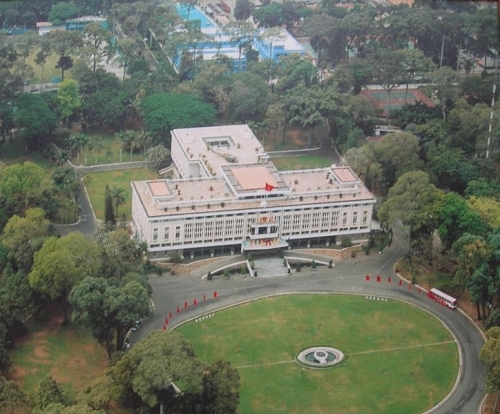 14:00 pm – 14:30pm, we will explore Reunification Hall which was the mansion of the President Ngo Dinh Diem of the former Southern Vietnam until 1975 (1960s - Apr 1975s). We have a great chance to see many beautiful things: formal meeting rooms, private bedrooms, war situation rooms 10 meter beneath earth’s level. 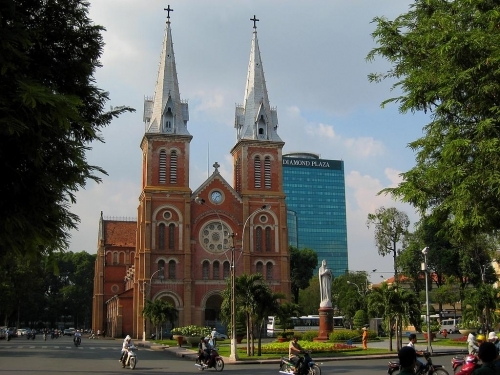 Next, this address today still plays the crucial role in Ho Chi Minh City - Saigon. We have guide who speaks your language (English/French speaking tour guide) to tell you significant historical facts about this building and some French colonial designs comprising the Notre Dame Cathedral (Located in the center of the city, this cathedral was constructed by the French in the late 1877s. 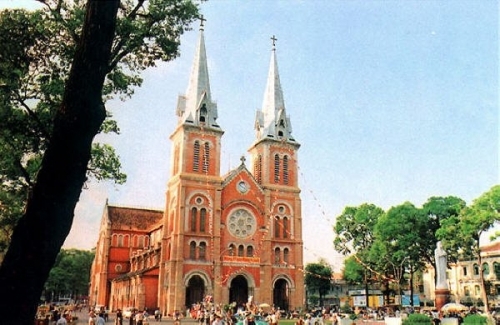 A large statue of the Virgin Mary greets you as you walk into this neo-Romanesque cathedral, decorated by two tall spires flanking either side). Then General Post Office (Built by Gustav Eiffel, the Post Office is an evidence to the French presence in the late 1800s. The look and feel of this grand building is like a beautiful railway station). 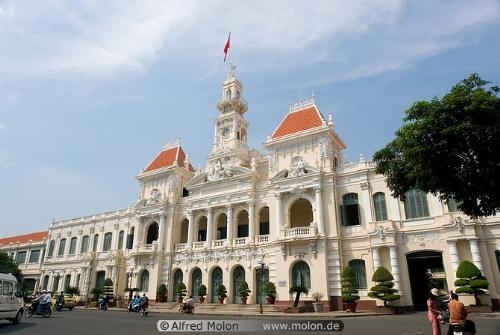 Last place is City Hall (Find out why this is one of the most impressive buildings in Ho Chi Minh City - Sai Gon. Built in the early 1900s, City Hall is a wonderful example of French colonial architecture). 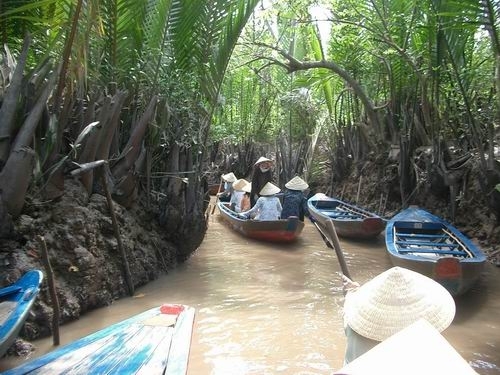 17.30pm – 18:00pm: finish Travel Around Ho Chi Minh City To Mekong Delta 1 Day. We drop you off your hotel or take you to the airport. Private transport: car, boat in the Mekong Delta. Entrance fees, fruits and honey tea and coconut water. 01 special Vietnamese lunch - Elephant eared fish. 01 Aquafina water bottle & tissue. Tips, VAT, travel insurance, drinks and personal expenses.